Canker sores are small, white areas of swelling or soreness that are surrounded by redness. Canker sores are not contagious. The cause of canker sores is uncertain, but some research suggests that immune system deficiencies, bacteria, or viruses might be the culprits. Smoking, stress, trauma, allergies, certain types of foods (chocolate, caffeine, or acidic foods), or vitamin deficiencies also may make you more susceptible to canker sores. Canker sores usually heal within one week, but they can recur. And, while there is no cure for canker sores, overthecounter topical ointments or gels that provide temporary pain relief are available. Antimicrobial mouth rinses also may help to relieve pain. fever blisters). Cold sores are groups of often-painful blisters filled with fluid that appear around the lips and sometimes under the nose. A person usually experiences his or her first cold sore infection in childhood. Once a person has had a cold sore, the virus stays in the body and can become active throughout the person’s life. Cold sores are extremely contagious and usually are caused by herpes simplex virus. Infection may be brought on by decreased immune response, lack of sleep, stress, or trauma. Cold sore blisters usually heal within seven to 10 days. While there is no cure for cold sores, non-prescription topical anesthetics for temporary pain relief are available. Dr Murphy or Dr Shivji at Queen’s Park Dental also might prescribe an antiviral drug to reduce the infection. Leukoplakia appears on the inner cheeks, gums, or tongue and often appears as a thick, white-colored patch. It is associated with smoking or smokeless tobacco use. Other causes can include poorly fitting dentures, broken teeth, and cheek chewing. It is extremely important to report any signs of leukoplakia to Dr Murphy or Dr Shivji or to your physician because an estimated 5 percent of cases of leukoplakia lead to cancer. Leukoplakia usually dissipates after the behavior causing the leukoplakia is ceased (stopping smoking or removing ill-fitting dentures, for example). Dr Murphy or Dr Shivji will check your healing progress every few months depending on the type, area of your mouth, and size of the affected area. Candidiasis is a fungal infection that also is called oral thrush. Candidiasis appears as yellow-white or red patches in your mouth. Oral thrush is most common in newborns or in people whose immune systems are not functioning properly. People who have dry mouth or who are taking antibiotics also may be susceptible. It is found in people who wear dentures, as well. 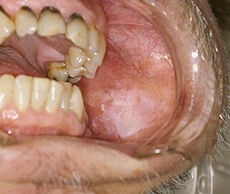 Candidiasis may form at the corners of the mouth with poor-fitting dentures. In these individuals, outbreaks of oral thrush can be prevented by cleaning the dentures and by removing them at night, if recommended by Dr Murphy or Dr Shivji. If antibiotics cause the condition, your dentist may consider reducing the dosage or changing the treatment. For those with dry mouth, saliva substitutes are available. Antifungal medications also are available. Oral cancer often starts as a tiny white or red spot or sore. Sometimes oral cancer presents itself as a sore that bleeds easily or does not heal. Or, it can be a lump or a thick or rough spot. It can affect any area of the mouth, including the lips, gums, tongue, and hard or soft palate. If you have pain, tenderness, or numbness anywhere in the mouth or on the lips that does not go away after a week, talk to your dentist, Dr Murphy or Dr Shivji. Oral cancer most often affects people who use tobacco. If you use tobacco, talk to your dentist or physician about tobacco cessation treatment plans. Also, your dentist can check your mouth for oral cancer very easily and quickly during your routine cleaning and exam. Mouth sores are common and rarely cause complications. Most go away in about a week, but it’s important to monitor any mouth sores you develop. 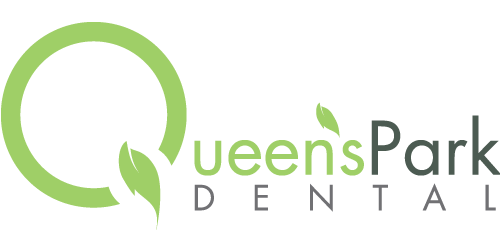 If you are concerned, or if the sore doesn’t seem to be healing, contact Dr Murphy or Dr Shivji at Queen’s Park Dental or your physician for an examination.